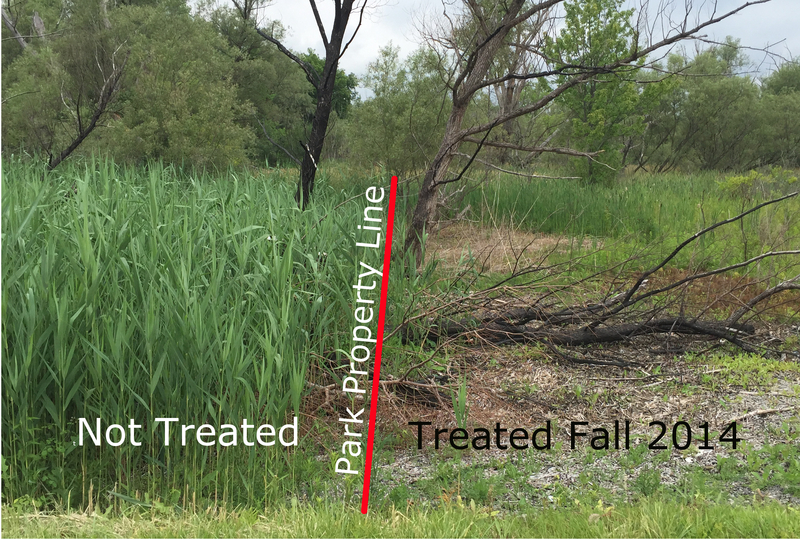 Phragmites does not recognize property lines, so we want to partner with you! This large, invasive grass can spread quickly, choking out native plants, degrading habitat for wildlife, and creating safety and maintenance problems for property owners. We realize that our efforts can only be successful if we collaborate with township residents! Oakland Township Parks and Recreation (OTPR) is offering residents a cost effective and simple program that is modeled after existing, successful programs in nearby communities. The landowner only has to request a no-obligation cost estimate, agree to treatment, and pay the contractor for treatment on their property (at cost). To participate, landowners, homeowners associations, or businesses can submit a request for a no-obligation cost estimate by August 1, 2018. You can get a map of your property with parcel lines at the Oakland County Property Gateway website. As a courtesy to our contractors, applications received after August 1 cannot be considered. Please contact Ben VanderWeide, Natural Areas Stewardship Manager, with any questions or concerns at 248-651-7810. While the abundance of Phragmites should be much lower after the initial treatment, you should expect to continue follow-up treatment for 3-5 years for complete eradication. Larger, older patches take longer to remove. To get ready for late summer herbicide treatment, mow or knock down dead Phragmites stalks by mid-May. Do not mow Phragmites after June 1. This will make herbicide treatments more effective.